By the very nature, flexibility, diversity, and uniqueness of our services it is impossible to create a price list to post on the Web to cover the variety of our services. That being said, our services are scalable and tailored to each clients needs. When we provide a price quotation, our focus is to provide services only as you need them, and add services when it make sense to your business. We understand that what you need is value for your dollar and we work hard to provide that in all we do. Our pricing is determined uniquely by customer. We have no one-size-fits-all approach where you pay for services that you do not want or need. To assist us in providing you with information and pricing, the more details you can provide in the form below the better. If you prefer not to complete the form just give us your contact information and we will discuss your needs when we speak on the telephone. Thank you for the opportunity to be considered for your fulfillment needs. May we telephone you to discuss your requirements? How many different items (skus) do you market? What services are you seeking? Click all that apply. Do you have a credit card processing account established? 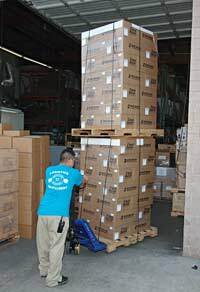 Do you currently outsource your warehouse & fulfillment?